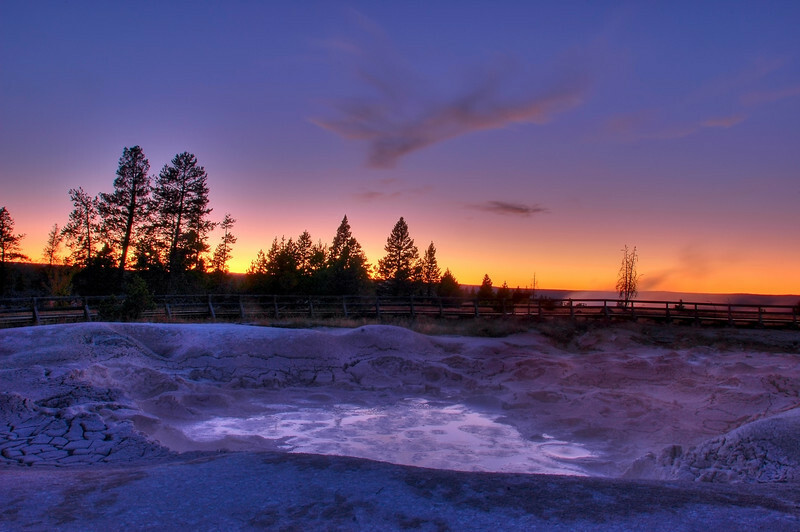 Another sunset image from Yellowstone, this time at Fountain Paint Pots ( http://www.nps.gov/archive/yell/tours/fountainpaint/index.htm ) . I thought this might be a nice subject to try Photomatix again. I like how well it brought in the paint pots without blowing the beautiful sunset considering how dark it was at the time. All frames used for this HDR were from after the sun had set behind the horizon.